Steller Art and Writing Students are WINNERS!!! 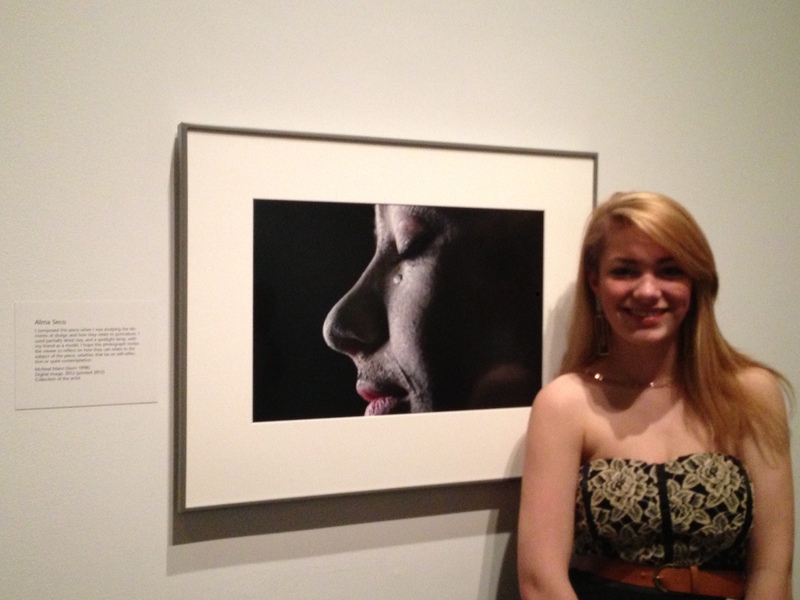 Mickey Mann attends the opening reception for the Smithsonian Portrait Gallery Teen Portrait Competition. Last Spring, Mickey won the national contest with her entry. This year, she and her mother were able to fly to Washington D.C. to celebrate her accomplishment. If you haven’t seen the student art work currently at the Anchorage Museum, you still can! It will continue through Sunday April 7. This entry was posted in General Announcements, Student Accomplishments by Judy Francis-Woods. Bookmark the permalink.